The Blue Devils and Santa Clara Vanguard announced on Wednesday that their respective Open Class corps, Blue Devils B and Vanguard Cadets, will keep their recruitment focus and summer tours confined within the borders of their home state of California in 2019. 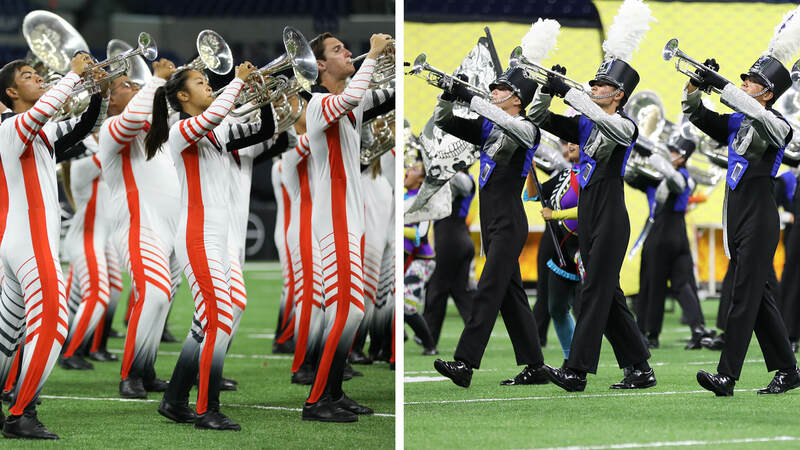 In separate releases issued earlier today, both organizations cited the change in touring model as better aligning with their respective mission statements, while not affecting the fundamental objectives of the two Open Class corps — which have been among the most successful in Drum Corps International history. Drum Corps International executive director and CEO Dan Acheson has been in contact with both organizations throughout their respective planning processes. “I am always in support of corps making responsible business decisions in line with serving their members,” he said. On an annual basis, the state of California hosts more events than any other on the Drum Corps International Summer Tour. A complete list of those competitions will be available with the release of the 2019 DCI Tour schedule at the end of November. Audition camps for Blue Devils B and Vanguard Cadets are scheduled to take place beginning in December.